Ultra violet (UV) light treatment is a water disinfection technique that has several advantages over other disinfection methods such as chlorination, ozonation, etc. UV light does not add anything to the water, therefore no harmful by-products or undesirable odour can be found. Our Series U systems utilise energy in the form of UV radiation to provide fast, effective, economical and environmentally friendly drinking water systems for your family. 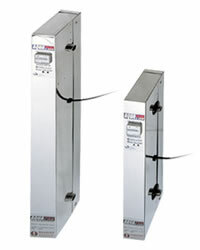 Flow up to 3.8 litres per min. Stainless steel interior of UV module for lasting quality. Single stage Stainless Steel UV systems. Our AquaPro Whole House UVs of a simple & reliable method for killing water borne bacteria. Ideal for well, river or spring supplies. 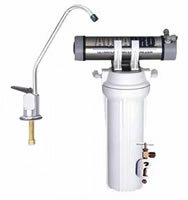 If your water contains high levels of sediment it is advisable to install a pre-filter before the UV. Easy to fit & maintain with a once yearly lamp change.